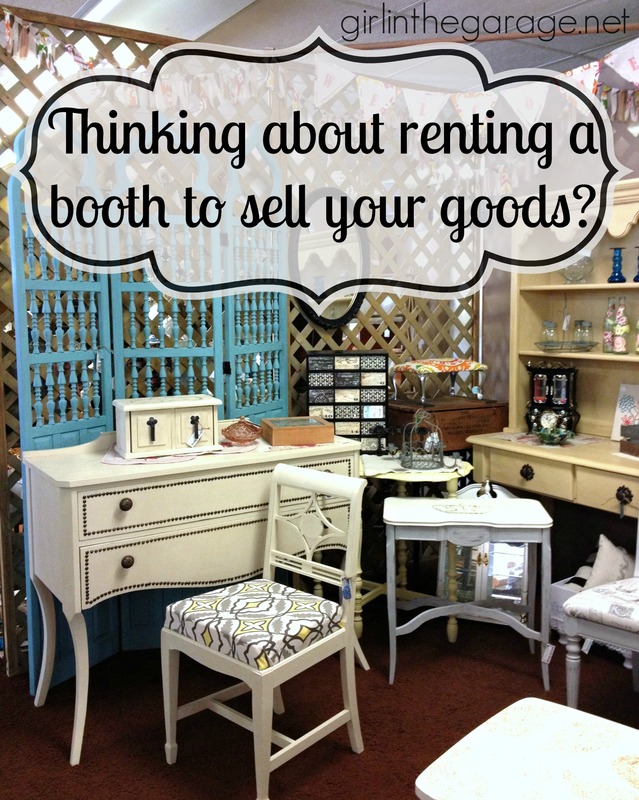 Thinking about renting an antique booth to sell your goods? A little over a year ago my garage was full of finished furniture makeovers. By “full” I mean there were about 5, but they left me very little room to work on other projects! I wanted to sell my pieces but I wasn’t too keen on the whole Craigslist process of writing a listing, answering emails, battling spam, and inviting strangers to my home who would haggle me on my prices and critique my work in front of my face. After phone calls, meetings, and visits to several stores, I finally decided on a nearby antique mall/artisan gallery to rent booth space. (Here’s my “new booth” announcement last year if you’d like to read it.) It’s kind of funny to look back and think of how nervous I was- and I’m happy to say that this weekend (June 1) was my 1-year anniversary there! A lot has changed since I first started. There are many factors to consider when looking for a place to rent booth space. Location of the store is important- is it convenient for you to visit often? Do they receive a lot of traffic? Is the store clean and well-kept? Are they open three days per week, or seven? When you find a store you like, discuss fees and then take a tour and see which booths are available. Often spaces near the front of the store or on the main floor will have higher rent than other areas of the store. What is the monthly rent, are there commission fees, are there credit card fees, are taxes withheld? Read over the contract and also be sure you know how much notice you have to give to vacate. If you change your mind after a few months, you’ll need to know if you have to give 30-days notice or longer. You’ll probably have to pay a deposit upfront and you may also have to pay extra to rent a cabinet or locked display case. Also remember you’re not just renting the space directly on the floor- you are paying for vertical space as well as horizontal – so stacking will create more room and visual interest for customers. (I also use scrap fabric when I stack, to avoid scratching.) If you need ideas for staging, walk around and take cues from booths you are visually drawn to. You can also get lots of ideas from blogs and from Pinterest. Pricing can vary greatly based on your geographic area. Your pieces may fetch higher prices in a neighboring town, but rent will probably be higher there also. Pay attention to what similar vendors are selling items for. You don’t want to give your goods away but you don’t want to scare people off either. If you list a price and the item doesn’t sell for a while, consider lowering the price on just that item or offering a temporary discount for everything in your booth. Especially if you’re new, it helps to build a customer base right away so people will buy from you again and also tell their friends! 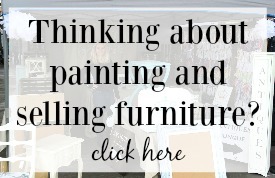 Click here to be notified when I have new content available about selling upcycled furniture and decor for profit. It’s good to visit your antique booth often. Whether you’re bringing new merchandise, rearranging your items (since a simple change can make someone notice something they didn’t see before), or just making sure things are in order. Unfortunately things happen and a drawer from one of my small tables broke, so I had to take it home and repair it. It wouldn’t look good for me to sell a table with a broken drawer! Also, customers will change their mind and may leave something in your booth that they picked up somewhere else in the store- another reason why it’s a good idea to check on things often. As I mentioned above, it may help to offer discounts from time to time to motivate people to buy. Especially if you have too much inventory, an extra 15-20% off for a day or weekend should help make some room for you! We had a horrible winter here and my sales for the first few months of the year were pitiful. Then the weather warmed up, and my booth was jam packed. I offered a couple discount days and it was my highest month for sales ever! Most stores do some sort of advertising in local directories and on Facebook- but they’re probably not specifically advertising what’s in your booth. Some ideas- you can list photos and prices on Craigslist and then direct people to the store and your booth number/location. You can also advertise on your Facebook page or on your blog page or website if you have one (again, direct buyers to the store if you don’t want to deal with them directly). Everyone’s experience will be different- but my experience is that there have been months where I have not made a profit, months where I broke even, and months where I’ve made a nice profit. I like not having to worry about selling my pieces myself and bringing strangers to my home. I would suggest to rent an antique booth for at least 6 months. If it’s not working out, then reassess. Do you have the time and effort to put into it? Is there another store that would work better for you, or a different location in this store? Talk to the owner and see if they have any suggestions- they should have some helpful advice! Some people are perfectly happy listing and selling their items on Craigslist. You can also sell certain items online through eBay or Etsy – or locally on eBay Classifieds or even specific Facebook groups for your town or county. 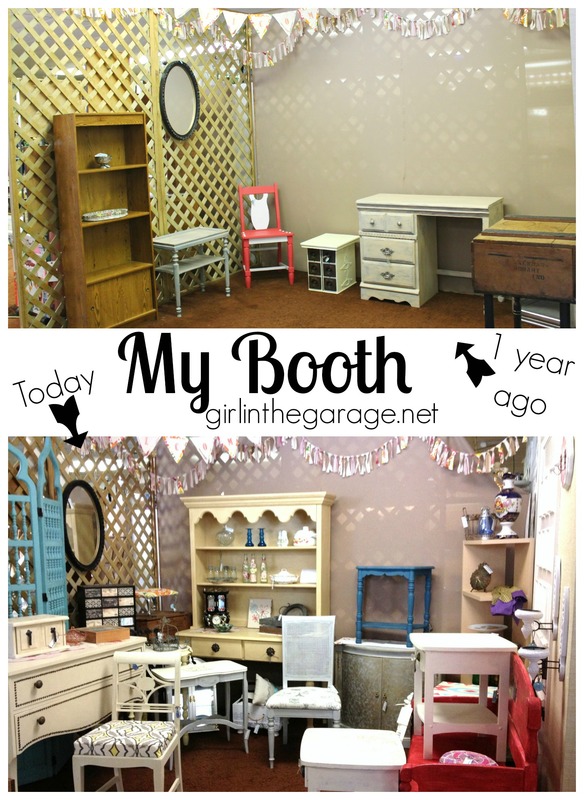 If you’re considering renting a booth space, I really hope this post has helped you! If you have additional vendor advice or questions about how to rent an antique booth, please leave them in the comments below. It did really help. Thanks for writing about this. I am starting my booth this month, actually tomorrow and I am so excited!! It has been a lot of work getting ready for this…I never realized how much work but I have enjoyed every minute of it. I will let you know in a year how it is going. Thanks again!!!! Carole, that is so exciting! Congrats and good luck! Thanks for your post! I recently started selling in a booth and find the information you gave to be very insightful! And, congrats on your first year! Thanks for all of the tips! It was truly an inspiration! Thanks for sharing these tips! This is definitely something I am interested in doing at some point and this makes me a little less nervous! That is so cool! There are so many great shops to rent a space in Crown Point if you’re close to that area. I considered renting there but the drive was a little further than what I wanted. And I totally understand what you mean about the garage- I’ve been trying to clear mine out so that I only have pieces that I really love and don’t just keep every piece that I feel needs to be rescued. 🙂 Does your friend have a store in Valpo? That is great news about the ASCP! So nice to “meet” you- congrats on the new blog! Congrats on a one year anniversary! I have been a dealer in a mall now for a little over two years and one thing that helped me was to start with a very small space. It let me get the feel of what it took to keep it filled and how to stage it well for maximum profit, so when I moved into a bigger space with a bigger rental cost, I felt prepared. I have followed in your footsteps Jen. One of my issues has been pricing. I have seen items sell in my booth immediately and show up in someone else s booth later. So its always a guessing game. One thing Ive learned is don’t let your merchandise get stagnant! Move your booth around. Stage small items to make your furniture (bigger ticket items) more sell-able. Hi there! I’m getting started on a small consignment space, and I have everything worked out EXCEPT branding. Should my little bitty space have an identity in addition to the overall store name? I ask because you recommend advertising items on FB, which of course would require a brand unless I post to my personal page. I LOVE the idea of advertising my services both as a “picker” and as a seller at this specific store, but I have no idea where to start with choosing a brand. Leigh Ann, I think branding is a great idea! Do whatever you can to help people remember you. I have business cards in a pretty dish in my booth and all of my price tags are actually mini business cards also. You could also hang a sign in your booth with your name or business name on it – that’s something I’ve thought of doing but haven’t gotten to yet. I’m sure there are lots of other ideas too! It may help to visit other booths and antique malls in your area and see what others are doing that you like. Great advice. Really really great advice. Thank you so much for taking the time to tell us what you have learned. Your wisdom has been absorbed and taken to heart. One thing I learned years ago was that on yours smalls, it’s a great idea to put a electronic tag on them so they are harder to steal. Unfortunately, it’s a fact of life, people steal, and unfortunately, even with these tags sometimes things disappear. I really appreciate your efforts in teaching us. I will definitely use what you have said. If I had known years past what you have said in this article, my space may have been much more successful. Thank you, thank you, thank you. Great information and advice, I have been renting a booth for over 10 years and love it. 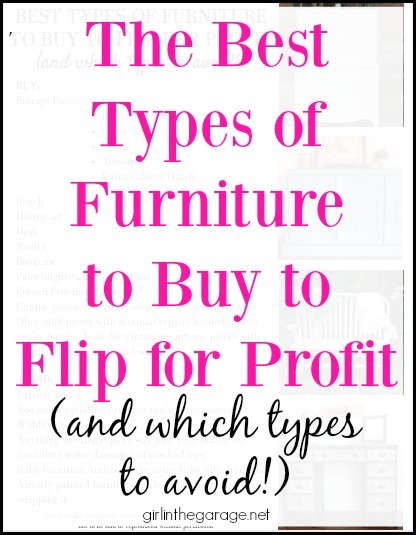 I have all sorts of items, I love to go to auctions, garage sales, clearance sales and even sell some of my own items I get tired of, this is a great way to be able to change the decor in your own home or even buy a new purse and sell an old one to pay for the new! (: I also love to craft ( cards, floral arrangements, mixed media pictures, refinish furniture and more) so this gives me a place to sell those items too. Thanks for sharing! I want so much to be able to rent a space the way you do, but I’m at a loss at how to find one!! I live in Portland Or. and when I look on line for a store type place to rent, all that comes up are these trashy little flea markets that are really nasty in Portland. How can I find a place for my stuff to sell? Any ideas would help. Thanks so much!! Not sure if you’re still looking (almost a year later!) but I am looking into spaces right now. Search for “antique mall” in Google, there are a number of antique malls in the Portland area. Laura and Kristen, about 15 years ago I rented space in Aurora, south of Portland. Back then, it was known as an antique mecca of sorts. I lived in Happy Valley and the commute on 99E was a lovely scenic drive. I don’t know what the market is like now, but depending on where you live in the Portland area, you might check that out. What a great post! And I loved your before and after photos of your booth. Very nice. 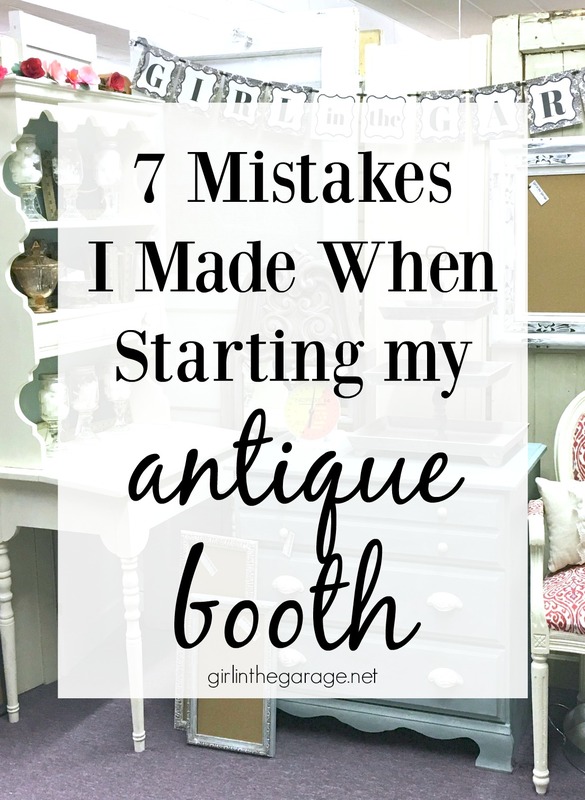 I own an antique “mini-mall” and we are always encouraging our dealers to do everything you just listed – stir the pot, flip the merchandise, visit often, re-assess your commitment in a few months. It really does help everyone in the shop! Thanks so much – I’m glad you like my post. 🙂 Definitely the harder you work on your booth, the greater your reward! Hi there. I just opened my first shop ever. I am renting a shelving unit in my area. Most of my items are small, so the shelves works for me better than a booth. Thank you so very much for all of your tips and information. You have no idea at how many times I referenced your page for help. God bless you and thank you. Hope to keep you informed that I needed to even enlarge my space!! Hi there! How did you go about finding spaces to rent from? I am looking for a store to rent booth space and feel like I’m hitting a brick wall. We are central to Will County, Illinois, so areas like Lake County and even Crown Point, IN are doable for us … But I can’t seem to find any…? 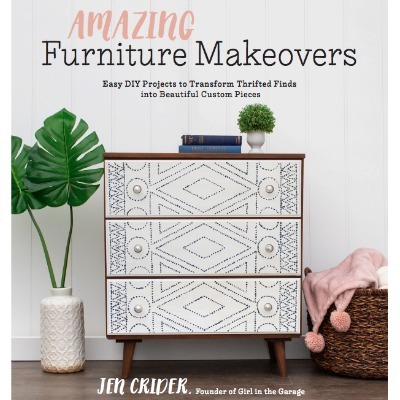 Hi Lisa, I talked about this briefly in the blog post – but you should check any antique stores/malls or even little shops that sell refinished furniture near you. I know there are several places in Crown Point where you could check; there are lots of antique stores in that area. 🙂 Or even if you visit a vintage market, talk to the vendors – many of them probably rent spaces in a store too. (At least they did at the market I sold at.) Sometimes smaller stores will only let you sell items on consignment instead of renting a big space, but that might be a good place to start if you’re just starting out. Hope that helps – good luck! Thanks for this great article. I just recently took the plunge and boy is it a lot of work. I go between loving it and hating it but I am embracing the challenge as it’s something I have been wanting to do for a long time. I have been in business before and sold my stuff but this is different and so it has a big learning curve. It’s a good idea to have the 6 month lease to find out whether it’s for you and then reevaluate, which is what I plan to do. Congratulations on being there for a year. My husband & I started a consignment store March 28, 2015. Now we are moving into a 3,000 sq ft space. An old thrift shop, it hasn’t been painted in over 50 years. We make our own displays & have collected a lot of recycled materials for the renovation. What we can’t figure out, is what booth sizes to build & how we figure out what to charge??? Also, any ideas, for an inexpensive way to lower the ceiling; even with fabric, due to cost of heat? I’ve enjoyed all that I’ve read here & am very grateful to find this blog. Thanks & God Bless!!!!!! Thank you Jen! I have been thinking of doing this but not sure if it will work. Will let you know what happens. 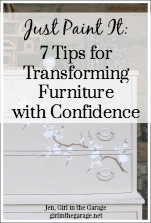 Love your furniture and help! I am just getting started looking for a booth to rent. What is a good size booth when you are just starting out? I have a lot of inventory. Hi Sandy, it depends what you’re selling (how large or small) and how often you’ll be able to work to keep the space full. My space that you saw in the photos is about 9×10 ft. It’s larger than it seems- and remember you can stack items too, so you’ll really have more space than just 90 sq ft, for example. Hope that helps- good luck! Thank you for this information. Just rented a booth and starting today! When i click on the link of the best types of furniture to buy for profit and which to avoid it doesn’t bring me anywhere. Just has me sign up for future emails…. I want to sign up & get your most current information. 2017. Hope your still at it! Love,love ,your journey & I have previous experience in other states, second year in Tucson & exploring options. I stubbled across your post looking for a place to rent. Very informative and I will come back to this. Thank you! They must vary, of course, but what would be an average cost to rent a space monthly? Hi Debi- You’re right, it varies a lot depending where the store is located (big city, small town, affluent part of the country) and how popular they are. I pay about $2 per square foot and I’m one hour from Chicago. From what I’ve heard, that’s pretty low compared to a lot of other metro areas. If you’re thinking of renting a space, your best bet is to call local stores near you to get an idea. Spaces may also cost less near the back of the store or upstairs. Hope that helps! Thanks for this info! It will help me as I prepare to set up my booth. The link to the best kinds of furniture to sell didn’t work. It took me to a screen that asked for my email. Is there some other way I can get it? Thanks. I rent a spot right now in Alabama and plan on moving back to Charleston. Would love to find a space to rent could you suggest any that have openings? Hi Barbara, I’m not familiar with that area. I’m in northwest Indiana. Good luck with your search! 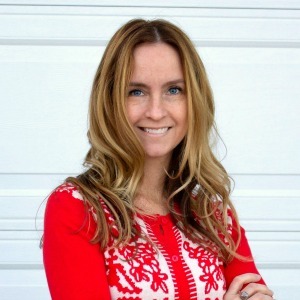 Hi Jen, I started out recently and my garage is already full and I was thinking about renting out a space as well. This article was so very helpful! I’ve got a pre-newbie question 🙂 A friend already has a booth at an antique mall and I asked her if I could put some stuff in to see how I would like re-selling. What is the best way to handle booth cost? Percentage of total sales, percentage of my sales to her sales, give her a straight percentage? Each one gives a very different number! And what if sales don’t meet rent? I can’t really afford half of the rent, plus she has far more items than I do. I want it to be fair for both of us. Any input is appreciated. Hi Kappy. Since it’s your friend’s booth, she may have an idea of how she wants to handle it. I would think you should pay for the amount of space that you’ll be using. Or maybe she’ll just take a percentage of your sales. Also, be sure that your pieces compliment hers well, so it still looks like a cohesive space. I wish I could help more – Good luck to you! Hi Ryan, I would start by asking the store that you’re considering renting space in. You can also contact your state’s SBA to ask about requirements for a merchant/vendor space. Hope that helps – good luck! I would love to talk direct to you. I run a non profit and I am interestedd in this as a fundraiser. Hi Rosalinda, you can contact me at girlinthegarage@outlook.com with any questions. This is a great article for many I’m sure. I am VERY new, still in the “Do I want to try booth renting” stage and find your information very useful. The one question I still have is WHERE DO I FIND PLACES THAT RENT BOOTHS?? If in an online search what do I look under? I live in Colorado Springs and am struggling to find a starting shop. I am considering a booth to open this summer mostly because my projects are filing up the basement and because it is something I have always wanted to try. Thanks for some great advice and tips. Looking forward to reading more. Hello! I enjoyed reading your article. Now, as a new owner of a local antique/collectibles co op. What is you suggestion for how to handle vendors who do not make their rent or sales are consistently low and they don’t choose to close their booth. Hi, since I’m a vendor and have never owned my own store, unfortunately I won’t be much help with your question. You should have something in the contract about paying rent on time or they’ll have a late fee (or face eviction if it gets extreme) but I can’t answer about when sales are consistently low. 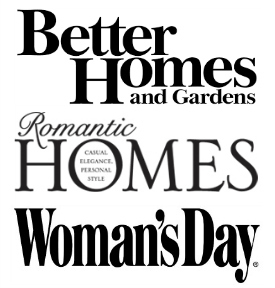 Have you offered to help give them advice or give them staging tips? They might be thrilled to learn from someone with more sales/booth experience.